Digital Camera Universal Power Supply. 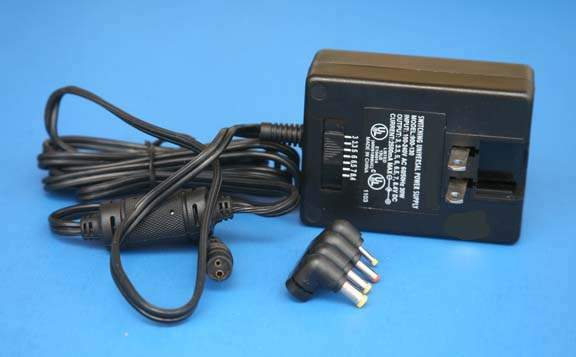 Power Adapters for almost all Foreign Power Connectors. Tip-1 for KODAK, AGFA, OLYMPUS, EPSON, NIKON, and VIVATAR models. Tip-2 for connecting the MINOLTA, TOSHIBA, KYOCERA, and CASIO models. Tip-2 for connecting the RICOH, PHILLIPS and VIVITAR models.